The government suffered its first defeat on its bill to replace the Deprivation of Liberty Safeguards (DoLS) as peers voted to amend one of the three conditions for authorising a deprivation under the proposed Liberty Protection Safeguards (LPS) system. Labour, Liberal Democrat and crossbench peers outvoted the government on one of a number of amendments to the Mental Capacity (Amendment) Bill passed in the first day of the bill’s report stage in the House of Lords. The bill originally stated that for care arrangements involving a deprivation of liberty to be authorised, the cared-for person must lack capacity to consent to the arrangements and be of unsound mind; and the arrangements must be necessary and proportionate. 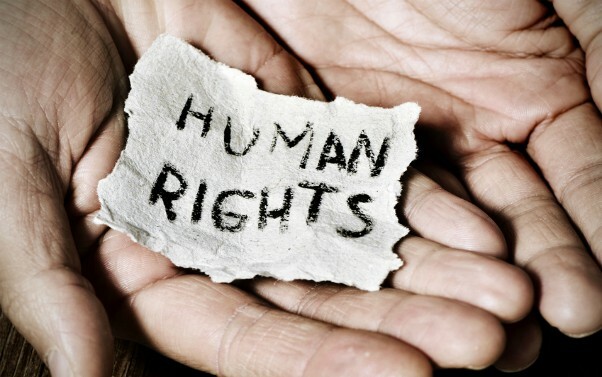 The amendment, opposed by the government, altered the last criterion to state that it must be necessary “to prevent harm to the cared-for person”. An accompanying amendment that the authorisation be proportionate “in relation to the likelihood and seriousness of harm to the cared-for person” was then nodded through. The revised wording restates part of the best interests requirement of an authorisation under the current DoLS system. Junior health minister Lord O’Shaughnessy warned that the amendments risked emphasising harm to the cared-for person at the expense of other factors in the necessary and proportionate assessment, notably harm to others, preventing assessors from making balanced decisions. He said they risked perpetuating the “current confusion” in relation to DoLS cases that involved some harm to others, and risked an increase in usage of the Mental Health Act if the LPS were seen as being ruled out in such cases. He said the government’s view was that the code of practice under the act – which local authorities, the NHS and other relevant bodies will have to take account of – should set out what factors to consider in a necessary and proportionate assessment. However, speaking for the amendments, Lib Dem Baroness Barker said the original necessary and proportionate requirement seemed to “be a weakening of the protections for an individual”, compared with DoLS, because it was not related directly to the cared-for person’s best interests. She also stated that it should be harm to the person, rather than harm to others, that should be the focus of decision-making under LPS. Barker also said that it was vital that this was written into the text of the bill, as opposed to the code of practice, so that it was legally enforceable. “When there are arguments about whether a deprivation of liberty is lawful, those arguing the case, particularly judges, do not go to the code of practice but to the statute,” she added. Meanwhile, other amendments tabled by the government last week were passed. Key changes included replacing the much-criticised requirement that the cared-for person be “of unsound mind” with one stating that he or she should have a mental disorder, as defined by the Mental Health Act, and extending the LPS to 16-and 17-year-olds. Further amendments will be discussed at the next sitting of the report stage, next Tuesday (27 November). Peers also discussed an amendment from Baroness Tyler to introduce a statutory definition of a deprivation of liberty, to provide clarity to practitioners and families about when the law would be applied in practice. But this was withdrawn when Lord O’Shaughnessy confirmed the government would bring forward a statutory definition of deprivation of liberty as an amendment when the bill reaches the House of Commons. He said the government was aware there was “real confusion” around the application of the acid test for a deprivation of liberty set out in the landmark 2014 Cheshire West judgment, leading to “blanket referrals” and applications being made where there was no deprivation of liberty. However, explaining the government’s desire to do more work on a statutory definition before bringing forward an amendment, he warned that Tyler’s amendment and one brought forward by Lord Woolf would limit the application of the LPS, excluding some people covered by article 5 of the European Convention on Human Rights (the right to liberty and security). “We have reached the conclusion that deprivation of liberty should be clarified in statute,” he added. “However, we want to get the definition right and make sure that it is compatible with article 5 of the European Convention on Human Rights. The government also agreed to bring forward amendments in the Commons to ensure all cases in independent hospitals must be referred to an approved mental capacity professional (AMCP), a specialist role designed to replace the current best interests assessor under DoLS. Under the bill, hospitals would be the ‘responsible body’ for authorising a deprivation of liberty in their settings, raising concerns among peers that they would be subject to a conflict of interest because they had an incentive to keep people as inpatients to retain their income. Labour shadow health spokesperson Baroness Thornton had tabled an amendment saying that, where a person was deprived of their liberty in an independent hospital, the clinical commissioning group or the local health board commissioning the care would act as the responsible body. Other peers suggested the role should be carried out by an NHS trust. However, Lord O’Shaughnessy said the better solution was for AMCPs to carry out the pre-authorisation review to determine whether conditions for a deprivation of liberty were met. Under the bill, a pre-authorisation review by a professional independent of the person’s care and treatment would be carried out in all cases. But it would only carried out by an AMCP, as the bill stands, if the person were objecting to their arrangements. However, O’Shaughnessy proposed that an AMCP carry out the review in all independent hospital cases, regardless of whether the person were objecting. “The government believe that independent hospitals would benefit from AMCP involvement, and therefore our intention is to bring forward an amendment… in the Commons to deal with this issue and make sure that there is such a role for the AMCP in all deprivation of liberty cases,” he said. I hope we don’t end up with a DOLS v2. We really must streamline the entire process and strike a balance between rights and available resources. DOLS has been a very expensive exercise. When we have an increase in people living on the streets, increased reliance on food banks and reduced entitlement to disability benefits etc we should not be throwing money away on cumbersome processes such as the existing DOLS. We need a framework that in most cases does not require the use of the AMCP and can be easily applied by the allocated social worker with management oversight. I hope the lawmakers don’t lose sight of this. Agree,why pretend we have funding for luxuries?why not spend brain power now getting it clear enough for a typically hard pressed mental health social worker to complete some checks and balances and using their reliable integrity and focus on the clients wellbeing,reach an outcome. We do not have sufficient AMPH’s within the MH services and then adding the AMCP is just going to stretch services more and more……yes we tried to open the role up to all MH professionals, to no avail. I agree with the previous comments, lets improve what we have without making the system more and more complex with less and less resources.